Renewable Energy - Want Another Great Reason To Go Solar? Here Are 5! Want Another Great Reason To Go Solar? Here Are 5! The initial cost of a complete solar system for a home can be deterring for some. We understand the upfront cost may not seem like a smart investment. However, over time, the money you can save on your utility bill, the jobs you will create because of your purchase, and the energy independence you will foster is worth every penny spent on renewable energy. At West Coast Solar, we believe green energy is the future of power usage. In this post, we’ll discuss five great reasons to make the switch to solar power. The biggest reason to go solar is the money you will save on utility bills. On average, homeowners see anywhere between 20-100 percent reduction in their utility bills once they make the switch to solar power. This includes designing, installing, and using a complete solar power system. You can take advantage of the Solar Investment Tax Credit (ITC) up until the end of 2021, and we can help you find incentives and initiatives around your area and California to help with the upfront cost of solar. The job market is tough. You may be experiencing it yourself. However, when you make the switch to solar power, you create jobs for people from design, manufacturing, installation, and maintenance. In and of itself, that’s four positions created for one solar system. Include the ancillary positions like sales, research and development, customer service, repair technicians, and more and you’ve supported your local economy. Wages across the solar industry on average are more than the national average for similar industries. Many of the solar installers across the nation are locally owned and operated businesses, which means when time and money are invested in making the switch to solar, the local economies benefit because of it. If you haven’t already noticed, the global energy market is hazardously unstable. As energy resources swing from scarce to abundant, the market follows. At West Coast Solar, we believe renewable energy to be the future of power. Did you know that it would take roughly a collection of solar panels the size of Virginia or about 25,000 square miles to power the world? The diploma thesis by Nadine May explains the process and the possibilities. As the energy market shifts, the cost of power fluctuates, but we’re seeing a consistent trend upwards. Compare the traditional energy market to the renewable energy market, and the trend is the opposite. Solar power and other renewable sources are becoming more affordable and accessible. As homeowners make the switch to solar, they’re discovering a new-found energy independence they otherwise didn’t have with traditional energy use. There are multiple studies showing that the addition of solar panels to homes to provide clean energy increase property values up to four percent. Especially in California, homeowners and homebuyers are finding that solar power systems included with homes increase the cost or value by a small percentage. What does this mean for real estate agents and the housing market as a whole? Whether you’re looking to purchase a home, sell a home, or increase it’s value, a solar power system is a great investment. As renewable energy becomes more affordable, accessible, and established, the value it adds to the housing market will only increase. California residents are hyper-aware that their utility costs are on the rise. Bills keep growing, and their energy use is remaining relatively the same. When you make the switch to solar, you can avoid the volatile traditional energy market. You will be able to generate your own power, and, in some cases, sell it to the grid for credit towards any utility bill costs you may incur. The general trend for renewable energy cost is downwards while the traditional energy market is upwards. If you’re looking for an energy alternative, consider making the switch to a renewable energy source. 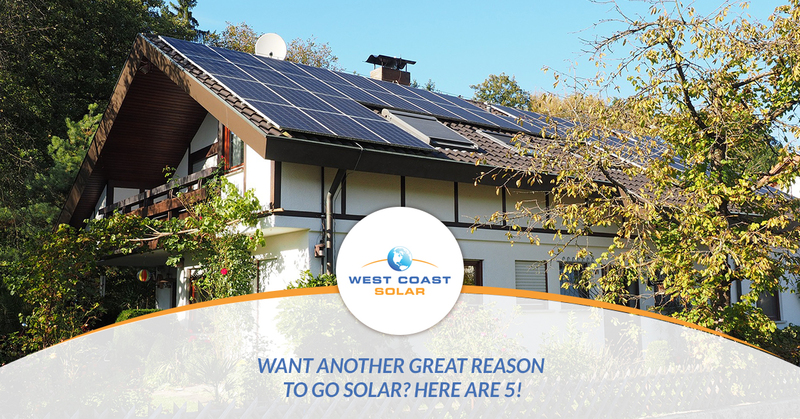 Call West Coast Solar About Your Solar System Design! Renewable energy is the future of power use. As renewable energy technology advances, the accessibility and affordability of solar power are becoming more prevalent for home and business owners around the globe. Those investing in solar systems, batteries and backup generators are gaining complete energy independence and avoiding the volatile traditional energy market. If you’re considering making the switch to solar power, give us a call today! We’ve been serving Sacramento, San Jose, the Greater Bay Area and more then 20 counties in California for years.